The Creepiest Valentines Day Gift Ever! - 94.3 KAT Country! Get ready to have nightmares tonight! Nothing says Valentines Day quite like a bearskin run in front of the fireplace… right? 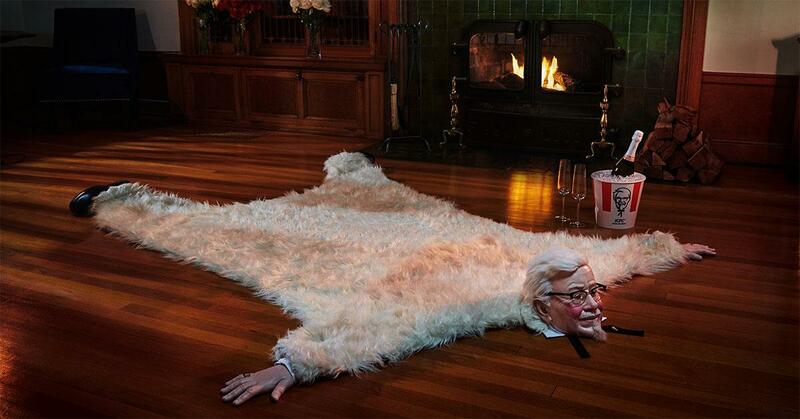 KFC is trying to spice up everyone’s romantic night by giving away said rug. However, their rug is creepy to the point that it looks like a gift from a serial killer! It sports the head and limbs of the good ol’ Colonel himself! look I could explain in vivid detail how creepy this truly is… but here is a picture instead. See, it’s much worse than you thought! Seriously, good luck ever sleeping again while this is in your house.